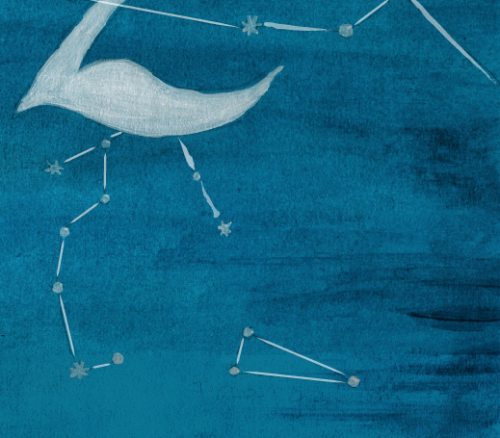 It's a wall calendar for 2012 and it's constellation-themed. I painted it by hand on illustration board and then scanned it to make some finishing touches on the computer. It's 11x17" and it's going to be either digitally printed or offset printed (nicer but more expensive). It'll go with a set of postcards, one for each month with a zodiac constellation on each one - these are going to be block printed by us! We haven't started carving the blocks yet but when we do, I'll keep you posted! This is one of (at least) two calendars we're trying to finish up by the end of this month so stay tuned!